Meraj Sheykh starred for Dabang Delhi as he got 15 raid points and Ravinder Pahal got five tackle points. 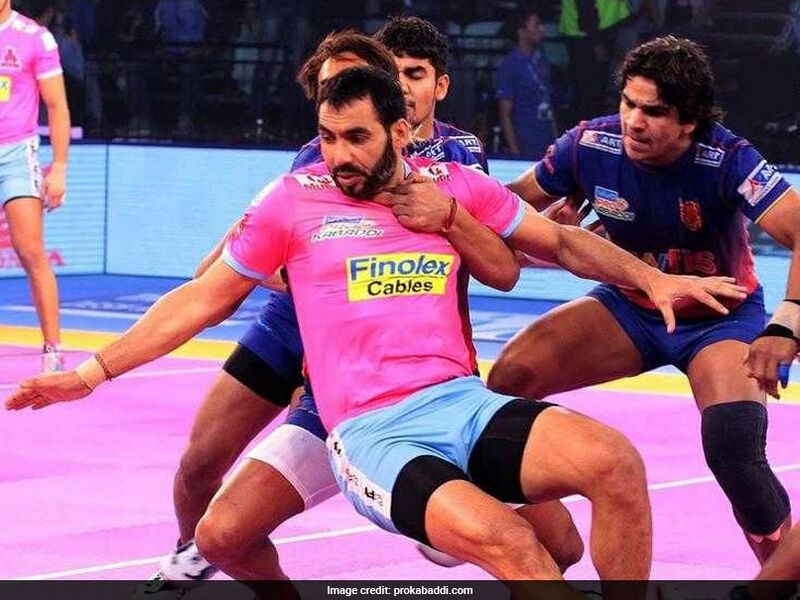 Dabang Delhi seized the advantage from there and Chandran Ranjit's Block on Hooda reduced Jaipur Pink Panthers to a solitary player soon afterwards. Sheykh then helped Dabang Delhi inflict their second All-Out within three minutes. Dabang Delhi had scored fourteen of the fifteen points from the 10th to the 15th minute to take their lead to sixteen points. Jaipur Pink Panthers tried coming back into the game, but Dabang Delhi continued their dominance. To see things off, Sheykh got touches on Amit Kumar and Mohit Chhillar to help his team win the encounter. In the other match of the day, Tamil Thalaivas played out a 35-35 draw against Patna Pirates. Tamil Thalaivas were a better team with more raid and tackle points, but an additional All-Out from Patna Pirates helped them salvage a draw. The first half the game saw both team attacking each other. D Pradap helped Patna Pirates inflict the first All-Out on Tamil Thalaivas and take a 13-8 lead. However, Ajay Thakur helped Tamil Thalaivas inflict the All-Out early in the second half and take a 19-17 lead. Patna Pirates slowly clawed their way back in the contest through Manjeet and dashed Thakur out of bounds to bring Tamil Thalaivas down to three men on the mat. 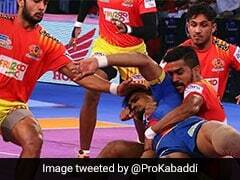 However, a Super Tackle by D Pradap which was well backed up by Sukesh Hegde stopped the Patna Pirates' charge with the scores still favouring Tamil Thalaivas by 3 points. Pardeep Narwal's two-point raid which brought up his Super 10 gave Patna Pirates the lead but Thakur returned got Tamil back in the lead with a two-point raid. However, Pardeep Narwal's last raid for Patna Pirates levelled the scores at 35-35.